All Gift Cards expire 3 years from the date of issue, unless otherwise stated on the Gift Card. No refund or credit will be given for any unused balance. Gift Cards cannot be redeemed or exchanged (whether wholly or partly) for cash, including any unused balance on the card, nor can they be used to purchase other Gift Cards or tender. You may be prohibited from purchasing certain items (such as alcohol if you are under the age of 18 years). 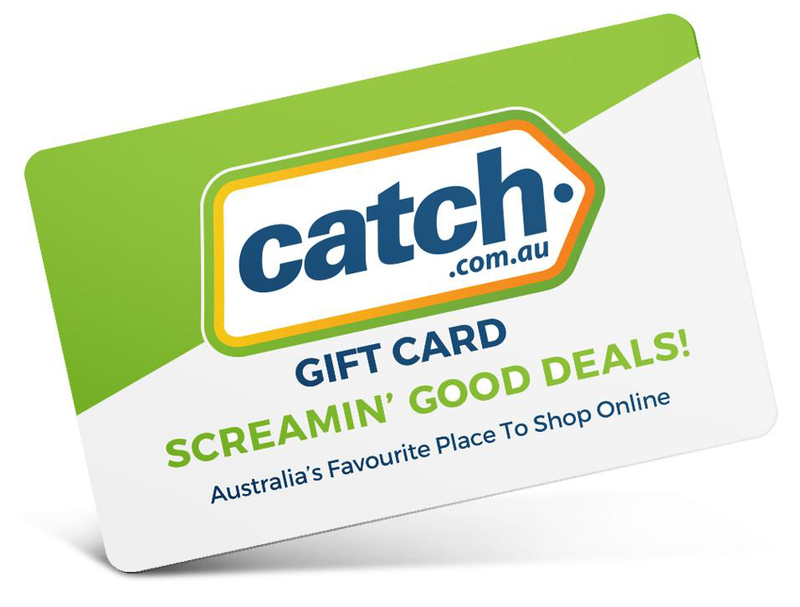 Gift Cards can be redeemed online at www.catch.com.au, www.groceryrun.com.au or www.mumgo.com.au. A maximum of 5 Gift Cards may be used in a single transaction. Gift Cards cannot be used to purchase Catch Connect services. Gift Cards entitle the holder to goods/services equal to the value stated on the card or remaining after partial redemption. Where an order's value exceeds the balance of the Gift Card, you must pay the balance in cash. If you do not hold an existing user account, you must open a user account with Catch (for no charge) in-order-to spend (redeem) the balance of this Gift Card. Items purchased using Gift Cards that are subject to our returns or refunds policy will be refunded as store credit. We reserve the right to issue you with a new Gift Card equivalent to the value of your refunded Gift Card purchase. The value shown on the Gift Card includes any applicable GST. Should Catch suspect any fraud relating to a Gift Card, Catch may refuse to redeem the Card until Catch is satisfied that no fraud has occurred. Catch is not liable for any lost/stolen/damaged Gift Cards or redemption codes (unless fault or damage in the Gift Card arises as a fault of us or our contractors). Please contact Catch immediately via the Help Centre if your Card has been lost/stolen. Lost/stolen Cards can only be replaced if satisfactory proof of purchase is provided and the Card has not been redeemed. You will not be sent statements of transactions on a Gift Card. You can check your Gift Card balance and expiry date at any time by visiting www.catch.com.au/gift-card. Catch reserves the right to change these conditions at any time and will provide at least 14 days notice. Catch will give notice by posting the changes on catch.com.au. If you contact Catch within the notice period and do not accept the changes, Catch can cancel the Gift Card and refund you any value remaining on the Card.